Bradenton, Fla. – Motorworks Brewing became one of the first commercial brewery to brew a beer with Florida-Grown wet hops. The hops were hand-harvested in the Tampa Bay area on independent grower Matt Harper’s farm in Riverview, locally-grown, pesticide-free Cascade hops star in their new American Pale Ale. The vast majority of hops used are dried and pelletized and primarily from the Pacific Northwest. Through pelletization fresh hops lose a substantial amount of their characteristic oils, imbuing bitterness to beer (IBUs) but little in the way of flavor or aroma. The opportunity to use a fresh hop harvest grown in Florida, just thirty minutes up the road, was an extremely exciting prospect for the entire Motorworks Brewing team. “Three pounds of fresh hops went into a 3.5-barrel American Pale Ale. The wet hops were added in the final whirlpool to maximize flavor” notes Head Brewer Bob Haa. This allows the wet hops to take center stage. Freshness is paramount when using wet hops, and these hops went from bine-to-brew in just 18 hours. Motorworks Brewing is honored to have been approached by farmer Matt to collaborate on a brew using fresh Florida hops – new territory for brewers in Florida. Matt joined Motorworks Brewing this morning to work with the brewers throughout the process. All parties involved are eager to taste for themselves the singular properties imparted by Florida’s soil and climate, and enthusiastic about the future of a sustainable hop crop grown right here in the Sunshine State and its implications for Tampa Bay’s flourishing craft beer culture. Matt looks forward to working directly with brewers and breweries and getting feedback on the hops he’s grown. Join Motorworks Brewing, in Bradenton Florida, on Thursday, June 30th for a chance to try this American Pale Ale that Matt and Motorworks Brewing hope, above all else, will showcase the fresh, unique flavors of Florida-grown wet hops. 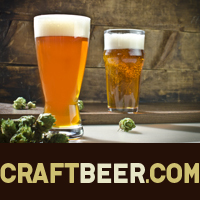 The post Motorworks Brewing Uses Florida-Grown Hops in a Commercial Brew appeared first on CraftBeer.com.